Our “link governors” act as a link between the school and the governing body on particular key areas linked to the school's development plan, including curriculum subjects such as maths and other important areas of focus for the school such as Pupil Premium. Link governors visit the school regularly, meeting with relevant staff and seeing lessons, assemblies or other activities (e.g. school trips, lunch or break time). The aim is to inform governors and allow them to see for themselves evidence of how the school operates. Governors consider, for example how a subject is taught; how the school's policies (e.g. the behaviour policy) are implemented in practice; any challenges in a particular area; any resources required; and what progress is being made on the particular area of focus against the school development plan. Governors produce a written report after each visit and report back to the governing body at meetings. 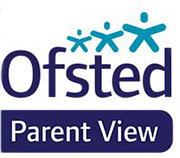 The reports are available to parents and carers on request from the school office. Governors also circulate a report tailored to parents and carers in order to keep parents informed. We used to send one link report per term to parents (copies below) but, in response to feedback, we now include link reports in the new-look Governors' Gazette instead.